Latex mattress toppers are an all natural foam which is extracted from the rubber tree in comparison to sap from a maple tree. 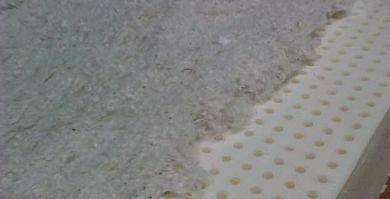 Once the latex is extracted, it is molded to a form which is utilized in mattresses. Latex is 4 times more breathable then synthetic foams. 3 times more durable. 33% more pressure relief, and contours. An additional benefit is latex Hypoallergenic. The best latex made today isTalay latex which is what we use. Covered in 100% cotton ticking all natural talalay latex wrapped in a luxurious layer of cotton or wool, lace tufted by hand. We invite you to visit our showroom if possible to try our mattresses.